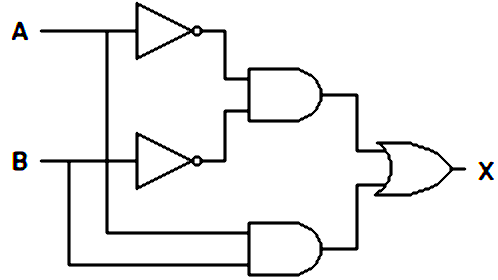 What type of logic circuit is represented by the figure shown below? 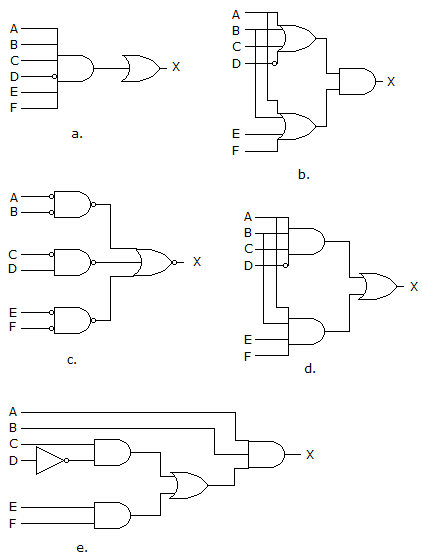 Which of the following combinations of logic gates can decode binary 1101? 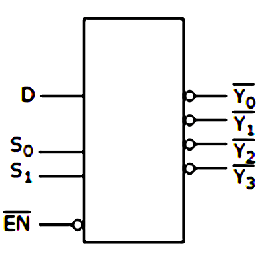 For the device shown here, assume the D input is LOW, both S inputs are LOW and the input is LOW. What is the status of the Y’ outputs? 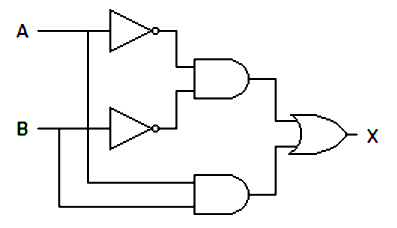 Which of the following logic expressions represents the logic diagram shown? What is the indication of a short to ground in the output of a driving gate? 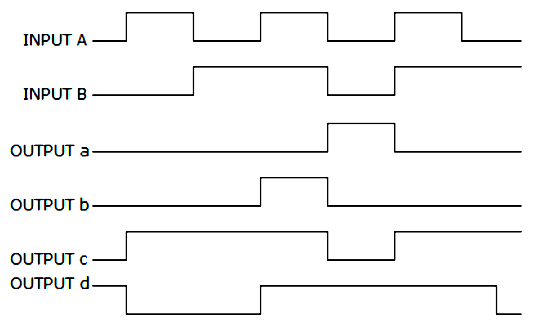 Which of the circuits in figure (a to d) is the sum-of-products implementation of figure (e)? For a two-input XNOR gate, with the input waveforms as shown below, which output waveform is correct?